The spaces we inhabit – for living, eating, and all manner of aesthetic experience – have a profound but often subconscious effect on our emotions. The “new frontier” in sound involves the foregrounding of spatial effects through the enlargement of the possible interconnections between sonic events and their encompassing ambience, the exploration of active virtual architectures that, while referring, sometimes, to real places, explode meaning through their constant and unpredictable shifts in aural context. Michael J. Schumacher has devised the “Portable Multi-Channel Sound System”, a “DIY” approach to spatial audio using inexpensive and found materials. The system sets up in less than an hour and can be carried in a single suitcase, yet provides up to 12 fully discrete audio channels, complete with speakers, amplifiers and sound sources. The speakers are an assortment of small and tiny speakers, “naked” drivers and improvised resonators. They are essential in “filtering” the character of the sounds. Schumacher’s method is to include the room and its characteristics as integral to the system, rather than attempting to create virtual spaces that require extensive preparations and the inhibiting of natural room acoustics. 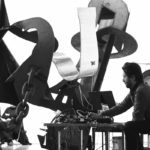 This does not mean that the system is site specific, any more than any musical performance must account for the particular qualities of the space of transmission. Moreover, Schumacher has approached the compositional process with the specific needs and attributes of spatial sound in mind, in effect putting “new wine” in the “new bottles” of his multichannel system. This means focussing on the results of the spatial transformations of sounds, the filtering process in both its specific and general aspects, choosing sounds and signal processing techniques for their amenability to localization, and working with formal and structural principles that highlight and support the experience of spatial listening.